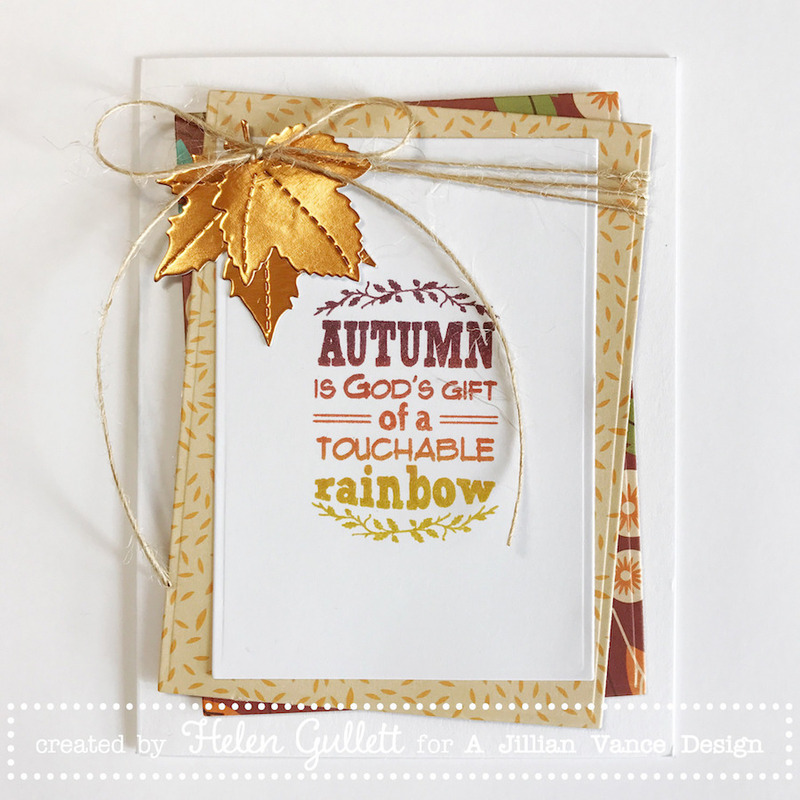 Hello everyone... Helen is here today with another project with Autumn/Fall theme with the Autumn Blessings Stamp Set, Leaves and Petals Die Set, and Rectangle Backgdrop Die Set. Don't you agree with this sentiment? Autumn indeed is a gift from God for us to enjoy and admire. I am so very thankful to live in a country where there are 4 seasons. Autumn is one of my favorite seasons when we can enjoy the different colors of leaves. Here in Ohio, Fall leaves are just gorgeous. I cannot wait to enjoy them soon! Let's look around us and we'll find many beautiful things that can inspire us to create. And I hope you all enjoy this card. Thank you so much for stoping by today!